Chris: "Omg I love it :) best game ever it scared me i screamed like pewdiepie"
Blake: "By far the best game ever!I thought it was going to be like the normal crapy slender man games but that was a mistake!! !There's a story line to it! If you don't believe that this is the best game yet try me!" Gregory: "YAY!!! I died!!!!! I finally found him after 5 min. of playing, and I refuse to look away from him... and I died..."
Austin: "To sum this app up in 2 words, horrifying & outstanding! :D Wow! The controls are perfect! 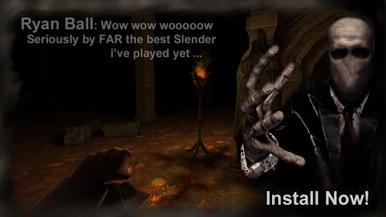 I for one am a Huge Slender Man fan, and This is practially everything i have EVER wanted out of a Slender Man game app!! 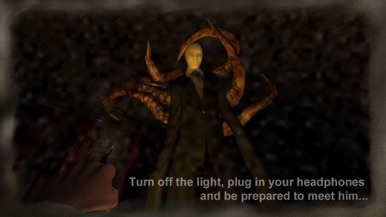 :D"
Philip: "This Slender game is the best I've ever played good graphics creepy song it really sets the mood"
Slender Man Origins - Immerse yourself into the thick atmosphere of mystery and horror! 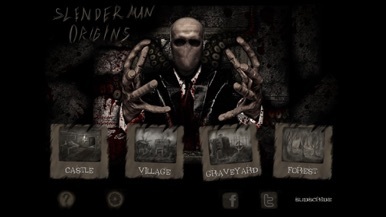 Follow the Slender Man's trail, become a witness to his horrific deeds and save the children from their inevitable doom. Explore, listen and look closely, travel through the dark corridors, damp halls, dense forests and empty streets, among the ancient tombs, old looming trees and abandoned houses. But beware! In your journey you will encounter many things without explanation, some even seeking to harm you. 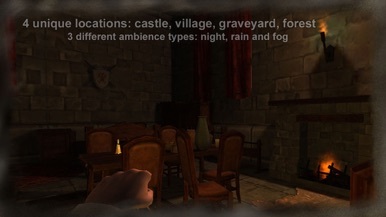 Each of the locations is unique, complete with a certain theme and filled with detail. Explore while experiencing different weather conditions, adding a certain feel to each of your journey. The Slender Man isn't the only thing you shall notice out there. While some events may simply be a part of unexplainable, many of them mean danger, some may bar your way, while few others can even prove lethal. Be ready for surprises! Move around and explore the way you are most used to - you can always choose a more familiar control scheme from the options menu. 3D sound makes the atmosphere even more mysterious, while listening to the directions of noises you can often get a feel of where you should go, or even avoid a hazard. Fine detail, soft light and lots of objects, as well as shadows from every tree, stone and iron bar in a fence - you are sure to itch for a few screenshots along the way. Like Doge? Support this Doge in his adventure to avoid fire hydrants, the most evil and vile enemy known to Doge everywhere.